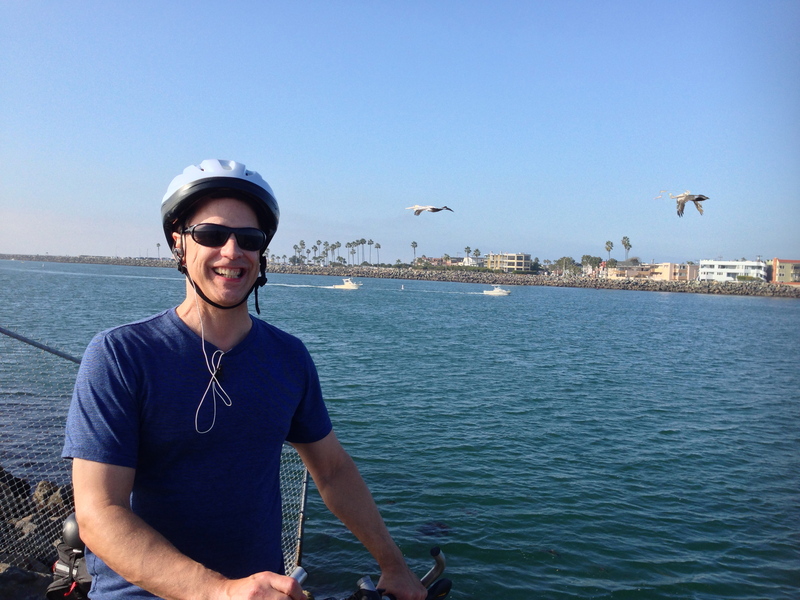 On Saturday I enjoyed a wonderful bike ride with my son, David. I started riding a bike for fun and exercise just over two years ago. In September of 2010 my doctor told me, “you’ve got pre-diabetes. You need to lose weight, and start exercising more.” Not the news I wanted to hear. I already exercised a good amount, or at least I thought I did. 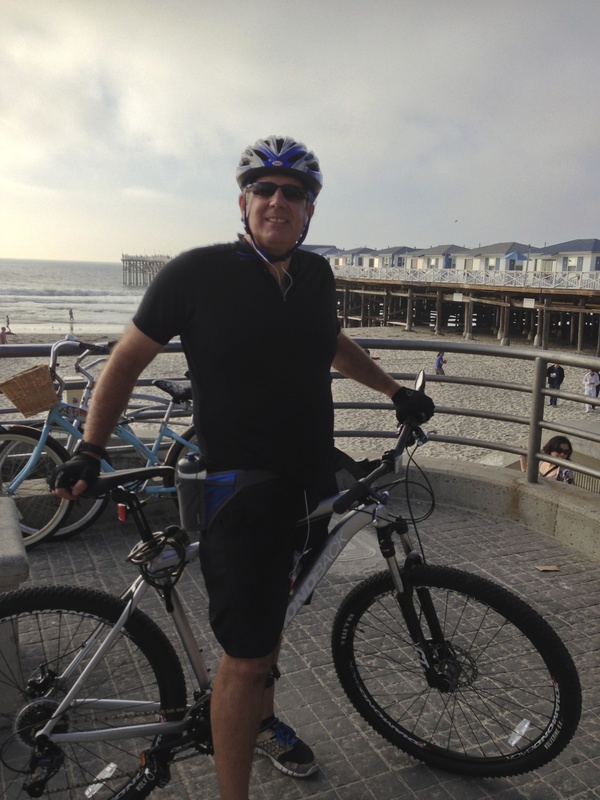 Then my good friend, Scott Kracht, suggested that I try the bike. We went on a ride together, and the rest is history, or something like that. By the way, I did lose some weight and got my blood sugar down, although it’s a continual struggle to stay disciplined. I’d appreciate prayer that I will do even better this year. I do want to stay healthy! The wonderful thing about the San Diego area is the weather is temperate year round, so I can ride my bike with shorts on all the time. I love the beauty of our former home, Colorado, but it was 9 degrees there today. You have to be very dedicated to ride a bike there in the winter months. One of the great things about riding a bike is that it adds variety to my exercise routine. I still go to the gym, and I even do the stationary bike while there, but there’s something about getting outdoors. I love being able to ride where I can see the ocean. I find biking not only gives me a chance to exercise, but it also helps me to clear my head. I’m able to think and pray while I bike. I connect with the Lord when I exercise. It strengthens my inner life. I pray, read and reflect while I’m walking, riding or working out at the gym. I’m still exploring some of the great places and trails I can go on in the area we live in. If you know of any good ones send me a note, and I’ll give it a try. Thank you Lord for giving me the opportunity to exercise and ride my bike in such a beautiful place. Thank you for the beauty of your creation! Even though we live in such beautiful place, it is a place in need of the gospel. I received a stark reminder of this while writing this post. Just across the street from us a crime was committed. There was a fight and someone was stabbed. Pray that we can minister to our neighbors. Pray that the love of Christ will shine forth brightly, and bring about transformation in our neighborhood! Good for you to take the time to get in shape. God-given bodies should be kept at the best level possible and it’s easier to do a good job of your work if you’re healthy. My husband’s into biking and it’s been great for him. Yes – especially now that we made it through the holidays, I’ve got to get on a good routine. I’m with you all the way! Getting back into a good routine myself. I’m so glad that God is giving you ideas like biking, to help you! And praying too, for you and yours as you minister in your area. God bless you! Thank you – it’s a blessing to minister on the border. Growing Up With Our Children: It’s NOT for Wimps!